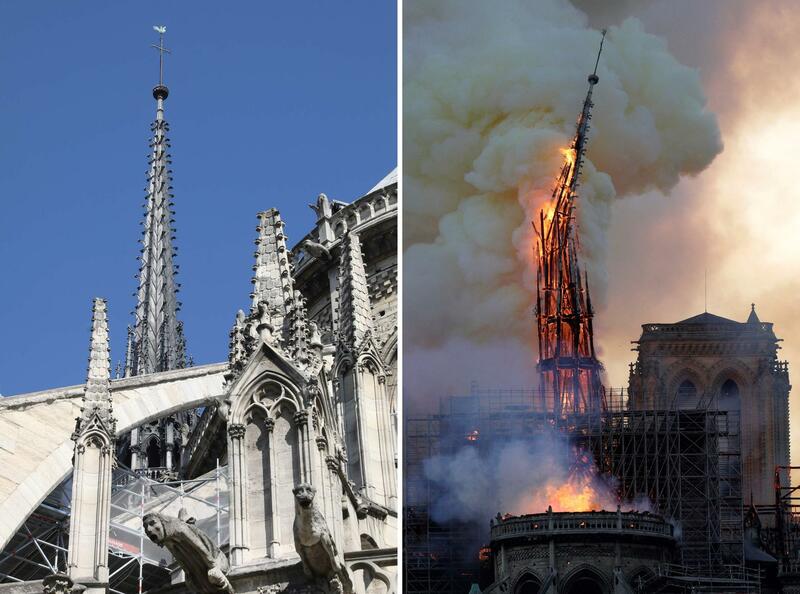 Photographs show the steeple before and after the fire at Notre Dame Cathedral. 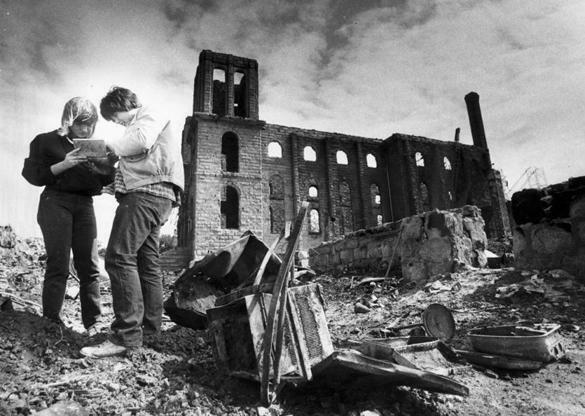 A combination of photographs of people attending a mass (above) in June 2018 and an interior view (bottom) after the fire. 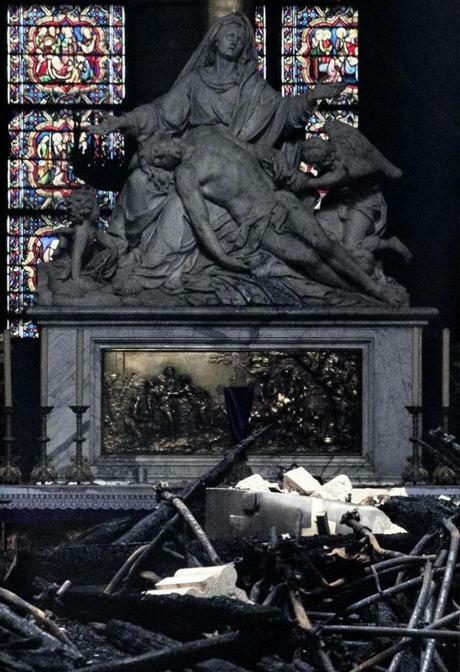 The interior of the Notre Dame Cathedral is seen through a doorway on Tuesday. 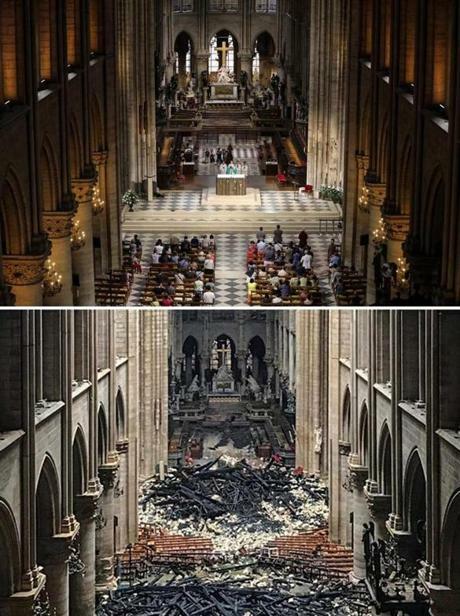 Combination photographs of scaffolding during the restoration and during the fire of Notre Dame Cathedral. 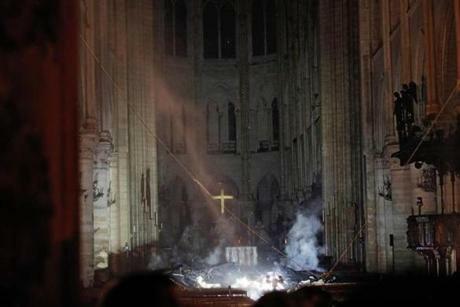 The altar cross at Notre-Dame Cathedral after a fire engulfed the building.